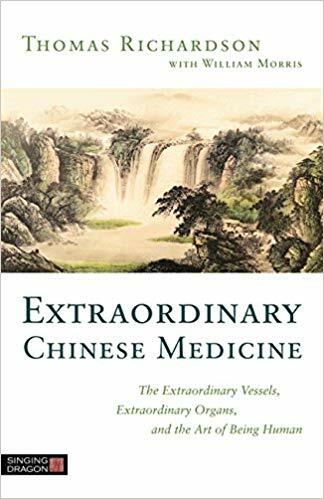 Exploring the relationship between the eight extraordinary vessels, and the zangfu and extraordinary organs, this ground-breaking book provides a new way of looking at the deep connection between the flow of qi through the primary channels, the placement of the confluent points of the extraordinary vessels along the primary channel system, and Daoist conceptions of the evolution of consciousness. He emphasizes the importance of the dai mai channel in integration. The author points to direct relationships between the primary channels, the extraordinary channels, and the zangfu and fu organs which demonstrate a deep, underlying, and continuous connection between the individual and their environment, a continuous connection to Heaven above and Earth below, and, perhaps most importantly, an underlying drive of the channel systems to continually, experientially bring us back to the transcendent unity that we are always a part of, the natural state. This book will enlarge the perspective of Chinese medicine practitioners, and martial artists, and prompt new approaches to treatment.